A majority of people will never need to seek the help and support of a bail bonds company. So when you do suddenly find yourself needing to post bail for a friend or relative how will you know what to look for? To ensure that you get the service that you deserve you need to search for a bail agency that holds the following characteristics. If you find a business that offers this type of service then rest assured your case will be in good hands. One of the most important things is that the agency you use is licensed and insured. This way you will know that you are getting the services you need completed by an actual company, opposed to an untrustworthy proprietor. It is important to entrust professionals with completing the filing of a bail bond to ensure it is done without error. To receive timely service you will want to work with a bail bond agency that offers 24/7 bail bonds. Many arrests don't happen during the 9 to 5 grind so to get your loved one out as quickly as possible you need to begin the bail bond process right away, no matter what hour of the day or night it is. 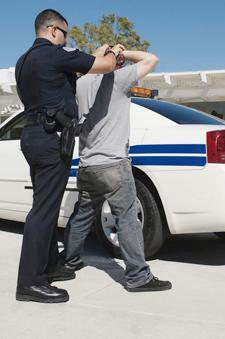 Always ask what rates are offered for a bail bond prior to signing any forms. You should expect to pay around 10 percent of the total bail amount in order to have the bail bond posted. If you're asked to pay much more than that be sure to shop around. More than likely you didn't budget for the cost of a bail bond. In order to make sure you can afford it double check that the company you select has payment options, including the use of credit cards. Nobody else needs to know that you or your loved one was locked up. Some bail agencies are notorious for selling stories by having customers sign shady disclosure agreements. Don't get put in the public's eye, be sure to use a company that offers discreet and fast service. There are a lot of bail bond agencies in Lake County, Mendocino County, Yuba County and the surrounding areas, but if you want to ensure that you get great service when posting a bail bond, reach out to Rob Brown Bail Bonds. Our team works quickly and discreetly to get your loved one released fast. Give us a call day or night at (707) 587-4563 to request more information or to post bail in Kelseyville or the neighboring communities.